Have you ever worried whether or not your pet needs urgent care but you’re wondering if you’re over reacting and don’t want to appear foolish at the vet’s? If you have, you’re not alone. Thousands, if not millions, of people every year go through the same thing. Sometimes we do it with ourselves. Since WebMD came along, many of us don’t fly straight to our physicians at the drop of a hat anymore, whereas others have become hypochondriacs. But not everyone knows there’s a version for pets, too. It’s called PetMD, and now they’ve come out with an app. 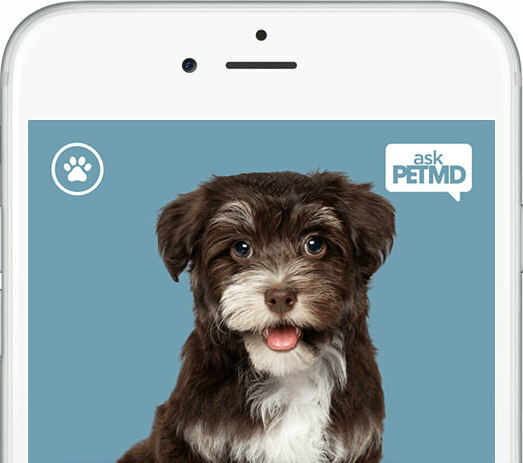 Yup, now you can have access to a veterinarian 24/7 with the new PetMD app called askPETMD. 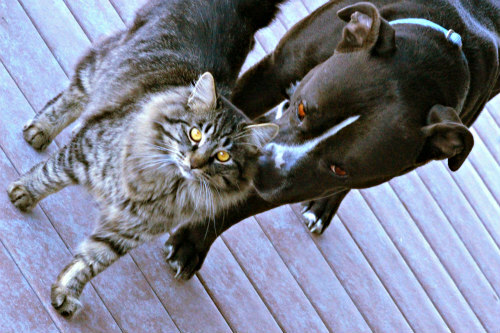 By using it, you’ll get “free, vet-qualified answers about your pet in less than 24 hours. Plus, browse PETMD’s wide range of popular pet topics, create personalized pet profiles and locate your nearest vet.” When using the service, you’ll be asked to provide information like breed, age, weight, gender, diet and medications when making a profile for your pet. This will help the doctors manning the system with useful data to make informed assessments concerning your beloved family member. Of course, common sense needs to play a large role in using this app. If your pet is in obvious distress or their symptoms have already lasted too long as in days, forget the app and get your pet to the veterinarian immediately. Do not pass go. Do not collect $200. And don’t get yourself thrown in jail speeding there. Just calmly load your pet up and take him or her to your vet or the closest emergency clinic. 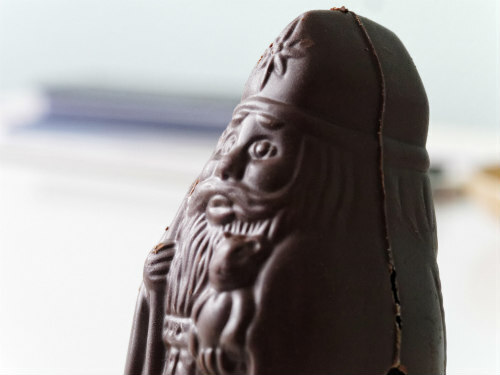 There are certain circumstances that you’re better off not taking chances with, like you just realized your pet wolfed down a dark chocolate candy bar or snacked on a poisonous plant. With the mobile app for smart devices, you’ll be able to browse or search their substantial library of Editor's Choice articles and content by species, including behavior, diet, emergency, illness, general care, preventative and more. You can also bookmark and share your favorite reads or any material that interests you. It’s actually pretty cool. If you’ve ever used the human version, you know how simple it is to use. Just about anyone can do it. The pet counterpart is just as easy, and now so is the app. All you have to do is download it, start your pet profile consisting of answering a few questions, and viola! If you’re still unsure about it, visit the desktop PetMD Website first and play around with it for a while. Their Symptom Checker feature is super helpful. There’s no cost for using any of it and you won’t be forced to sign up or give up any information about yourself or provide a credit card number. Of course you can create an account on the site, but that’s optional. If you do, though, they’ll keep your pet’s information stored to make things easier for you. That way you’re not filling in the data each and every time you go to use it. You can get the app through Google Play or iTunes for Android and iOS devices. This Horse Is More Than Meets The Eye -- The Animal Video Of The Day!!! This Is Not Paddington Bear! The Animal Video Of The Day!!! The Flying Reindeer Theory -- Animal Video of the Day!! !